After last week’s Nunavut Alaska Constitutional Convention, concerns were raised in the community about what comes next. What a group of representatives from roughly 13 of the 56 Yukon-Kuskokwim tribal villages were able to do when they convened was agree to hold a vote on November 7. In the provisional government’s first press release, they say that a “ballot will [also] show candidates for President, Vice President and Clerk,” as well as a vote for a united government. But the road ahead won’t be easy. Over the three days that the provisional government met, they were only able to touch on a few topics such as land jurisdiction, taxation, education, health care, and the courts, along with various specific issues impacting the YK Delta like domestic violence. These are all areas that attendees said that they hoped to improve under a united government, once one is created. But on the KYUK Friday call-in show “Talk Line,” several callers voiced their concerns, some anonymously, that not all 56 Tribal villages were represented and that 13 villages did not constitute a quorum. Some callers said that the convention translated into taking action without majority consent. “I like the vision alright, but how they’re trying to introduce themselves, it’s just not right. A lot of the people are like, ‘oh, you know, if they were doing it the right way somebody upstairs powerful would allow it to happen, because he’s the master of all events,” one anonymous caller said. The Nunavut Provisional Government did not set about creating a governing body for the region’s villages just yet. That would only come about if tribal citizens of the 56 villages in the YK Delta approve it during the proposed November 7 vote. 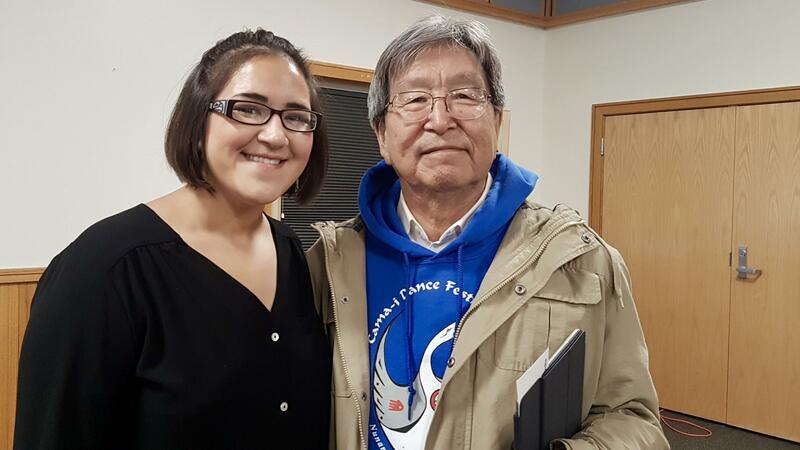 Nikki Hoffman (left), Nunavut secretary and former Bethel City Council woman, and Harold Napoleon (right), constitutional convention organizer. “Like one of the elders said here, we’re a sleeping giant. Our region controls AFN, majority of our people, but we are fragmented: Calista, YKHC, AVCP. 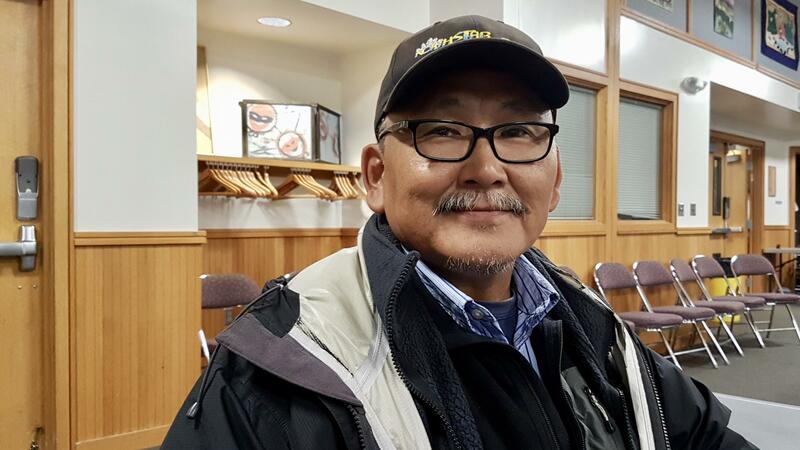 We’re going north, south, east and west; there is no direction and there’s a lot of voices,” George Guy with Kwethluk Incorporated said. For instance, even the new government’s name “Nunavut”, which means “our land,” is just a placeholder until citizens of all 56 tribal villages vote on it. Guy, like many at the meeting, was concerned with tribal villages not being able to exercise fundamental rights – a point which even the anonymous caller may agree on. “I have observed the past 30 years the political regime in our region, it’s like a record player. One sing, one record player going around and around. We are in the 21st century, but we live in the 19th century. That’s why they call us the last frontier,” Guy said. Read the full Nunavut Provisional Government press release by clicking here.